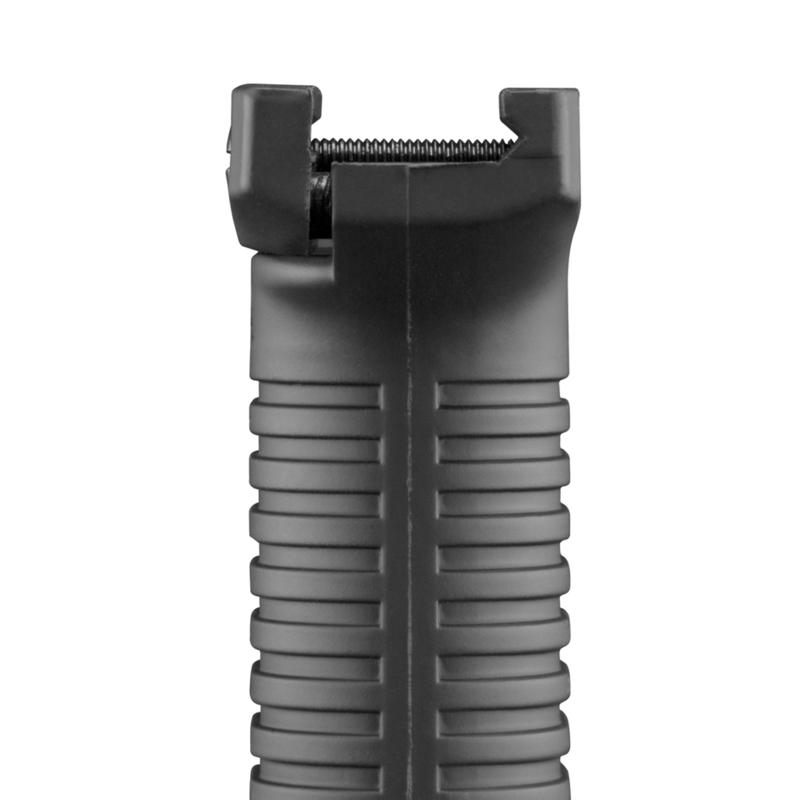 Home > Launchers and Accessories > Verticle Foregrip 3"
This is the standard foregrip that we include with our launchers. 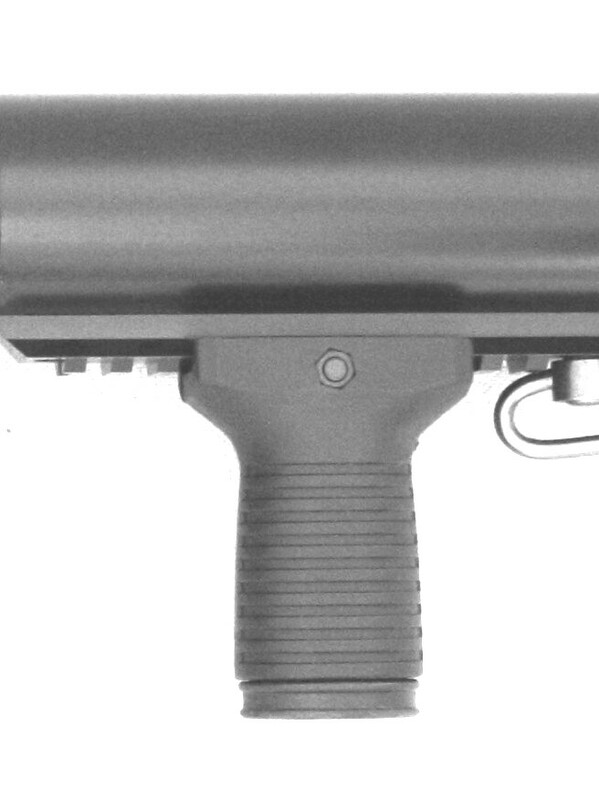 It is low profile and slides on to Picatinny rails and locks with an indexing screw. 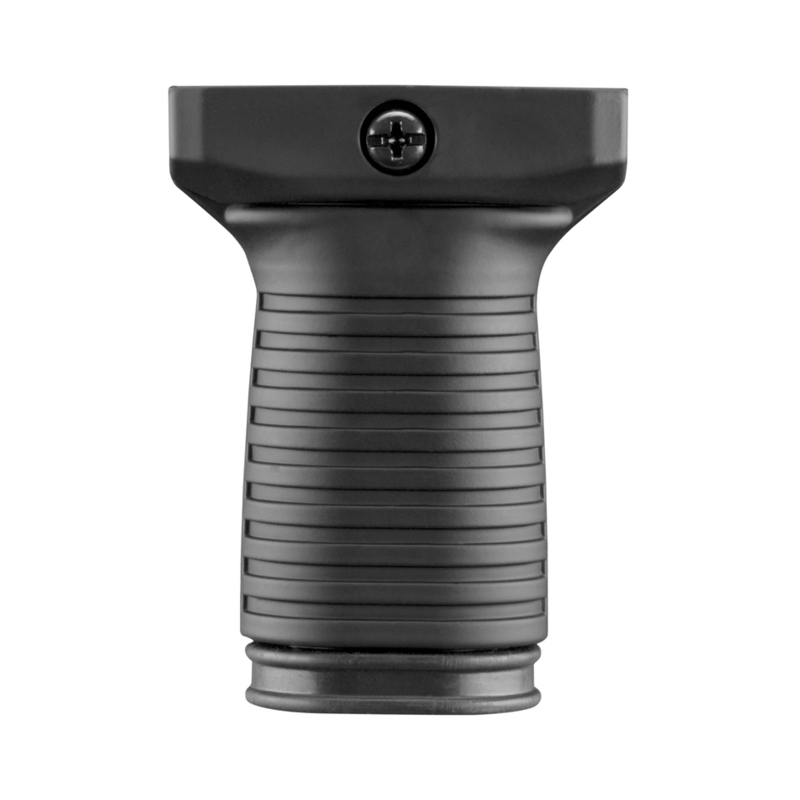 Prominent texturing ensures a firm grip during fire, hollow compartment at bottom for storage. 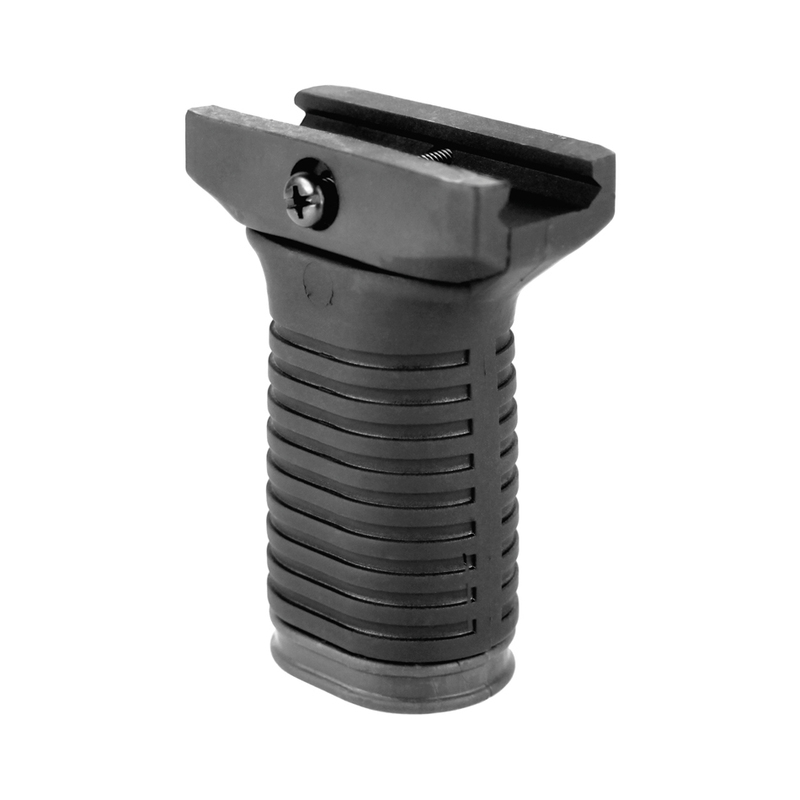 • Single battery compartment • Compatible with Weaver / Picatinny 1913 Rails • Black polymer finish We have found a high level of approval of this accessory from our customers. We are now offering it as a separate accessory.